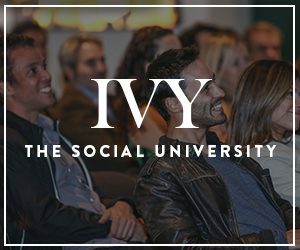 Fashion icon and legendary designer Rachel Roy discusses fashion, philanthropy, and how to design the life you wish to live at an IVY Ideas Night in Los Angeles. Rachel believes that everybody can take small, actionable steps to incorporate philanthropy into their personal and professional lives, and that entrepreneurs are in a unique position to better society. Given her expertise in the fashion industry and experience with social impact — she creates capsule product collections that sustainably employ women artisans along with donating portions of proceeds to important endeavors such as World of Children — Rachel is in a unique position to describe how the fashion industry can change the world for the better.